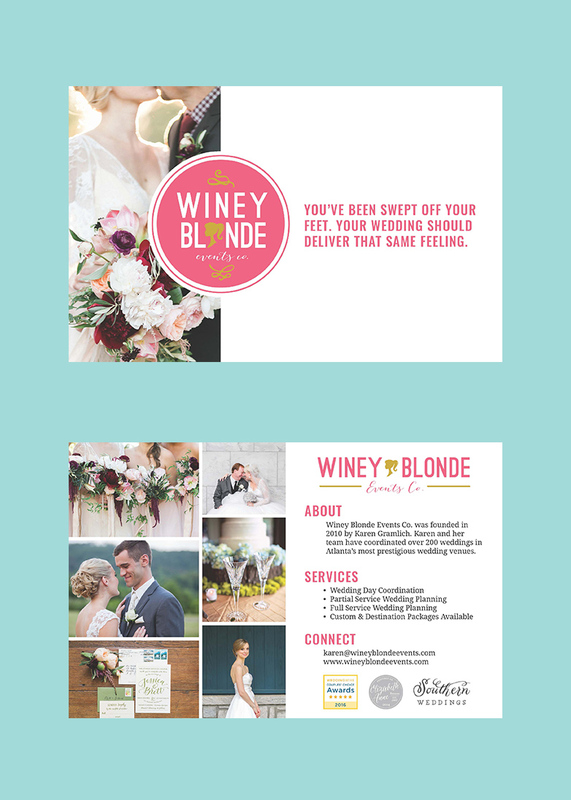 Winey Blonde Events Co. is owned by an incredible wedding planner, Karen Gramlich. We've had the joy of working with her on several projects like her brand messaging, website, wedding guide and info cards. Before we started on the site, we clarified Karen's brand messaging and curated her portfolio. Karen's site needed to showcase her portfolio and convert more leads. We used a sales flow on her front page, but made sure brides were able to easily access portfolios and her press page. Along with a new site, Karen wanted a printed wedding guide she could hand to prospective brides. We also created a digital version to easily be shared through email. We created a simple and clean 4 x 6 info card to hand out and leave at venues.